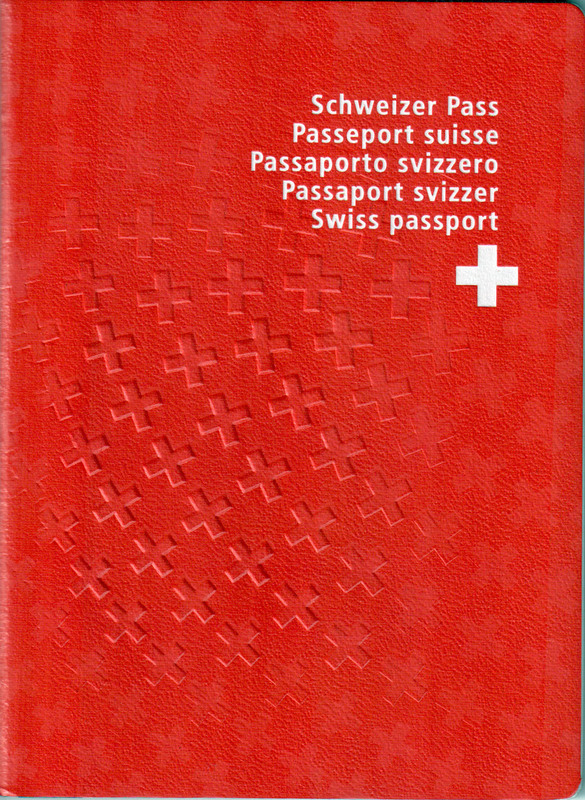 The Swiss passport before January 2003. One of the most obvious visual icons for any country is its flag, and yet Switzerland is one of the only countries I know of that leverages this visual asset in the design of its passport. 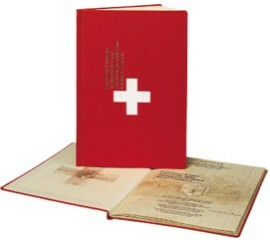 The Swiss passport (introduced in 2003) takes full advantage of the bold design of its flag, a bright red leather cover with the equilateral cross strategically positioned below five lines of copy that simply declare “Swiss Passport” in white Helvetica type. The cross is quietly mirrored in a debossed pattern that radiates out and across the cover of the document. Everything about this tells any viewer at a glance what the country of origin is of the holder. Like the cover, the interior is treated with the same level of respect. Every page is well designed, and includes the iconic white cross on each spread. The anti-counterfitting mechanisms that cover the backgrounds are well thought out colorful geometric patterns that visually highlight the cross. Each page contains a bold outlined page number centered at the top next to an image that marks a point of historical significance to the country. Switzerland as whole is extremely savvy about displaying their country as an integrated brand. This is shown in everything from banknotes, to public signage, so it is no surprise to see that they have treated the simple passport as a vehicle to showcase their design known how and brand savvy to the world. 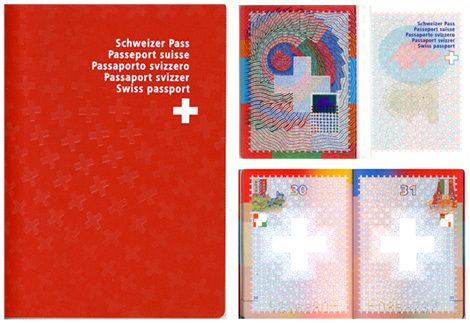 Posted in Design and Art and tagged Country Branding, Passport Design, Passports, swiss design, Switzerland on March 22, 2010 by Author.